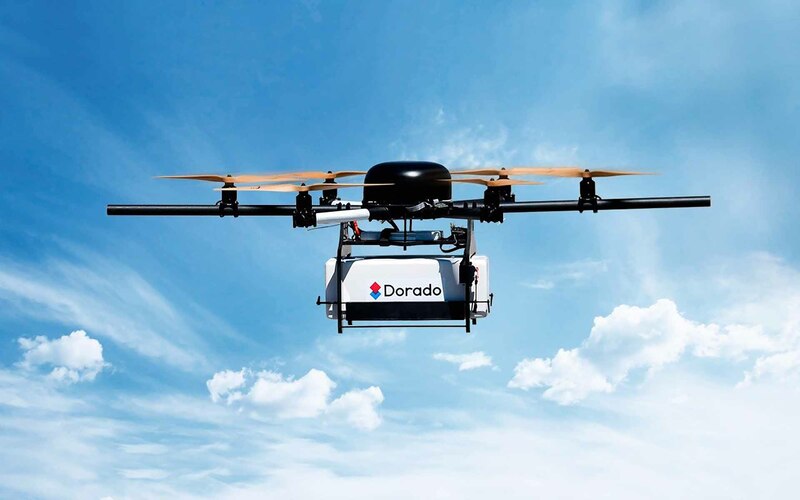 The leading European on-demand ordering and delivery company Dorado has begun an industry-changing innovation program that will improve all aspects of the delivery process for the customer. The delivery company isn’t moving onward, but rather upward – with the help of unmanned aircraft vehicles (UAVs), or drones as they are more commonly known. Dorado allows customers to order items from any store or restaurant and have them delivered in 15 minutes or less. Of the $1.4 trillion dollars generated from the sales of food and groceries last year, less than 1.5% came from online sales. In other words, there is huge untapped potential for growth and sales in the online market. And by using the on-demand delivery services offered by companies like Dorado, merchants will really be able to boost their profits and sales. Jonas Karosas, the Co-Founder of Dorado is not, however, focused on moving toward an automated world that has no place for the traditional labor force. Rather, he’s looking to build a future that is the perfect combination of human and automated economic activity, one that’s optimized by systems geared for more “efficient, effective, and impactful” outcomes. Using drones as couriers is not intended to be a replacement for people, but instead, a complementary approach. In crowded neighborhoods, for example, the distance between delivery zones is often less than two miles, making traditional couriers the most effective means of delivery. Drones, instead, can be used to fulfill orders for the suburbs and other areas which usually take longer for couriers to reach, and are thus more expensive to deliver to. Areas that are further from the city center often have a much more limited selection of customer choices, and even when delivery is available, it takes over an hour and a half for a delivery to arrive. By using drones Dorado will be able to offer services to areas that were previously excluded and the waiting time for the customer will be significantly decreased. This opens up a totally new market for us. 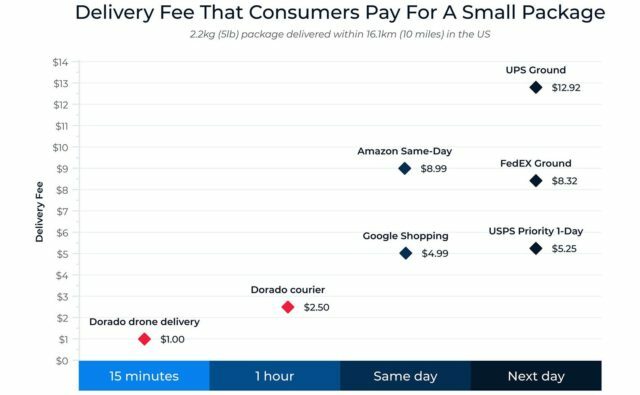 Drones are not just quicker, but 2x-6x cheaper than current human couriers. Drones are just the first step in a plan that includes robotics, AI and various other cutting edge technologies. What we have planned will change the landscape of the on-demand delivery industry forever. To Dorado, delivery drones offer three distinct advantages: speed, the ability to fly over difficult terrain and water, and the possibility to deliver to remote locations. They also eliminate the high cost of human labor that so often plagues on-demand startups. Utilizing drones for delivery is ultimately a faster and more efficient approach to a once fully human-dependent process. Dorado is a next-generation decentralized on-demand delivery company which has revealed that it plans to raise $55M via its ICO. Dorado has already ‘pre-heated the oven” by raising $4M from institutional investors, including the ICO-focused Goldfish Fund, and it plans to offer the remaining allocation to the general public.